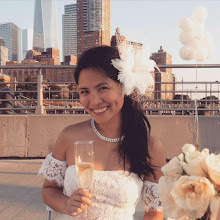 I celebrated my birthday this year in the most wonderful way: with lots of cocktails and Filipino food at the Bowery Hotel Rooftop surrounded by some of my dearest New York friends. This year's Manhattan Cocktail Classic included a Filipino Fiesta among its slew of events over the five-day festival dedicated to libations. The Filipino Fiesta highlighted our country's many flavors in a way that's modern yet still faithful to the cuisine. The cocktails were designed by Enzo Lim, Maharlika and Jeepney's master mixologist, and each one was inventive and delightful. My favorite was the Ayala Ave—a mixture of Haliya mango wine and elderflower cordial with muddled lime, mint and ampalaya. Non-Filipinos are probably unfamiliar with ampalaya, which is called bitter gourd in English. As the name indicates, it is extremely bitter in flavor but is believed to deliver numerous health benefits. It is to the Filipino child what brussels sprouts are to Western kids: an instrument of dinnertime terror. Now that I'm older though, I love ampalaya as much as I do brussel sprouts—and I quite enjoyed the slight bitterness it imparted to what would have otherwise been a very sweet drink. On a hot New York evening, the Ayala Ave was like a refreshing breeze. Other yummy cocktails on the menu: a Mango Gimlet with gin, mango syrup, lime juice and bitters, topped with coconut flakes; and a Kalamansi Collins with vodka, lemon juice, kalamansi juice, smoked salt and dried hibiscus. A ticket to the Fiesta came with unlimited drinks and food tickets for each of the food stands manned by some of the city's Filipino restaurants and caterers. I used two tickets for a double serving of Jeepney's Pinoy spaghetti, the quintessential birthday party food. The sweet bolognese with red hot dog slivers tasted just like my childhood. Jeepney elevated their version with some toasted queso de bola and crumbled longganiza, and I loved every bite! Kuma Inn/Umi Nom's booth was extremely popular as chef King Phojanakong pulled out all stops with a lechon (roast pig). The succulent piece of pork with a slice of perfectly crisp skin paired with garlic rice and pickled vegetables was so indulgent and satisfying. Zengo's kilawin was another favorite of mine. Kilawin is a Filipino-style ceviche, and it was the perfect little shot of tangy seafood and mango bits on that humid day. Other plates served were Ugly Kitchen's lumpiang sariwa (spring roll), Payag's chicken inasal (Bacolod-style grilled chicken), and D’Original Lapaz Batchoy's Ilonggo style noodle soup with pork liver, scallion and chicharron bits. The event was sponsored by the Philippine Department of Tourism, and it was a really wonderful way of showcasing our country and all it has to offer. It's been so heartwarming to see how Filipino cuisine has come into the mainstream here in New York as of late, and I am so proud of all the wonderful work New York's Filipino restaurateurs and the Philippine Department of Tourism have been doing to bring our food to a wider audience (Mitch Dy, you are a rock star!). Congratulations to the wonderful people behind this event, and thank you for giving me everything a Pinay could want on her special day! That looks super fun and delicious! 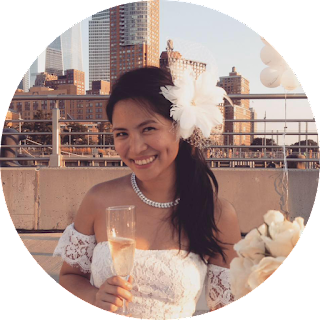 My boyfriend is Filipino and he has a favorite family owned spot we go to in Queens, but I have noticed too that Filipino food has recently been merged into more trendier locations and new restaurants. It's great, I love the food and the culture! I was lucky to visit the Philippines with his family a few months ago. It was such an amazing trip, I can't say enough about how wonderful the hospitality was. Yes, the super authentic Filipino spots are definitely out in Queens. I think the Manhattan ones are great for introducing newbies to the cuisine because they're fluent in Manhattanese and Filipino ;-) So happy to hear all the good things you have to say about the Philippines!